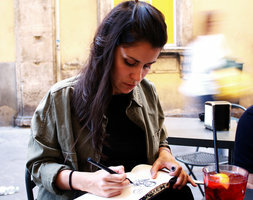 My name is Sofia, I'm an hyperactive ink and paper artist, videogame addict and craft beer connoiseur. I am also a full time illustrator, graphic designer and human being. My themes of choice are Horror, Sci-fi, Fantasy and some Nonsense.